Several commentators have said that the #MeToo movement would fizzle out unless legal recourse is taken by or on behalf of women who have spoken up. MUMBAI: Two eminent Mumbai-based lawyers, Mrunalini Deshmukh and Vaibhav Krishnan, have volunteered to provide legal aid to victims of sexual harassment and assault, without charging any fee. 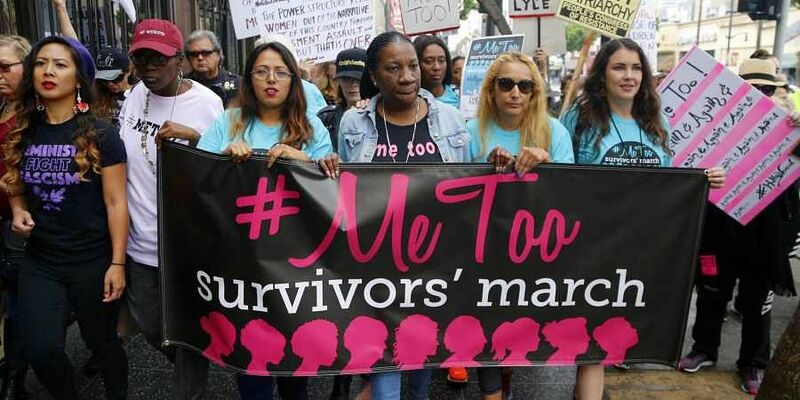 Several commentators have said that the #MeToo movement would fizzle out unless legal recourse is taken by or on behalf of women who have spoken up. Judicial redress may now be available for many of these women. Meanwhile, the Indian Film & Television Directors' Association (IFTDA) has issued notices to all the directors who have been named by women for sexual harassment or assault. Ashoke Pandit, president of IFTDA said notices had been sent to the accused filmmakers, including Sajid Khan and Vikas Bahl, seeking their response within ten days. If they do not respond, their names would be placed on the 'non-cooperation list, following which the women could approach the two lawyers who have come forward to provide legal help, he added. IFTDA could not send a notice to Nana Patekar since he was an actor and not a director, Pandit said. He also said: "Unfortunately our organization cannot punish the guilty legally. We can only ask for a boycott of the accused. In this context we're very happy that Sajid Khan has been sent on leave from his directorial job in House Full 4. By doing this, Akshay Kumar and (producer) Sajid Nadiadwala have set the right tone for the MeToo movement in India." Two of the victims at the receiving end of Sajid Khan's alleged actions -- Rachel White and Karishma Upadhyay -- have narrated their stories to the IFTDA. Pandit said that "it shook us to hear them talk about their experiences. No woman in any workplace should be subjected to this behaviour. There are serial predators in the film industry whom we've identified. I want them to know their time is up. We have two of the finest lawyers in the country to make sure they pay for their perversity."